BRENTWOOD, TN (THE WIRE PRESS) – What if you could find out the potential effects of a medication during pregnancy by asking a real-life expert instead of unreliable “Dr. Google?” Now you can. In fact, there’s an app for that, according to MotherToBaby, a service of the international non-profit Organization of Teratology Information Specialists (OTIS). As January’s Birth Defects Prevention Month kicks off, MotherToBaby has launched a free, one-of-a-kind app to bring the most accurate, evidence-based information to pregnant and breastfeeding women. 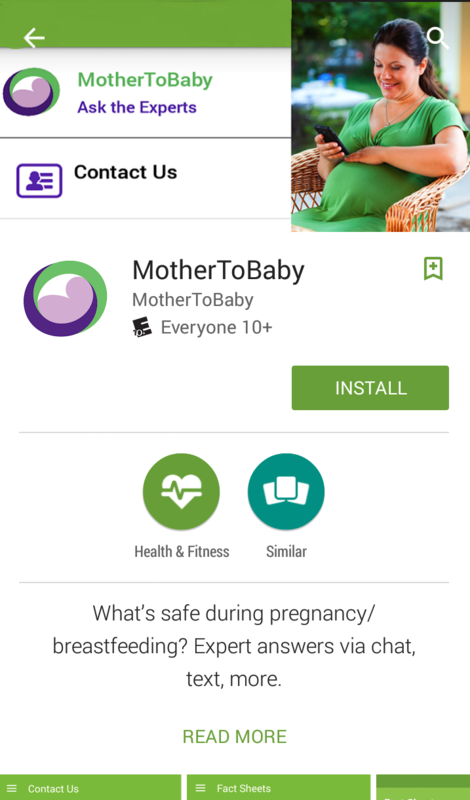 The MotherToBaby app is available on the Android and iOS markets and features the non-profit’s renowned up-to-date library of fact sheets on more than 100 exposures during pregnancy and breastfeeding. Perhaps, its most unique feature is the app’s ability to link the public directly through live chat, email, text and phone with a teratogen information expert (someone who specializes in providing personalized information about the risks of birth defects) so a user can get answers to questions in real-time without ever leaving the app. The app also features a way for a pregnant woman to easily contribute information to the research by sharing her pregnancy. “Including information about our MotherToBaby Pregnancy Studies program in the app is one more way of reaching women and letting them know about this incredible opportunity to make a difference in the lives of future pregnant women by participating in research,” explained Zellner. MotherToBaby is a suggested resource by many agencies including the Centers for Disease Control and Prevention (CDC) and the Food and Drug Administration’s (FDA) Office of Women’s Health. More than 100,000 women and their health care providers seek information about birth defects prevention from MotherToBaby every year. MotherToBaby has been able to embark on new outreach efforts to reach underserved populations and launch new communication technologies through a cooperative agreement with the U.S. Health Resources and Services Administration, as well as through the generous donations made by the public. To learn more about MotherToBaby, the ways to contact its network of experts, or how to support its services, please visit http://www.MotherToBaby.org. Media Contact: Nicole Chavez, 619-368-3259, nchavez(at)MotherToBaby(dot)org. Interviews in Spanish can also be arranged.